The "Leapfrog Learning Baby Tad" is an educational toy for babies 6 months and up, it has multi-functions, for learning, fun and naptime. 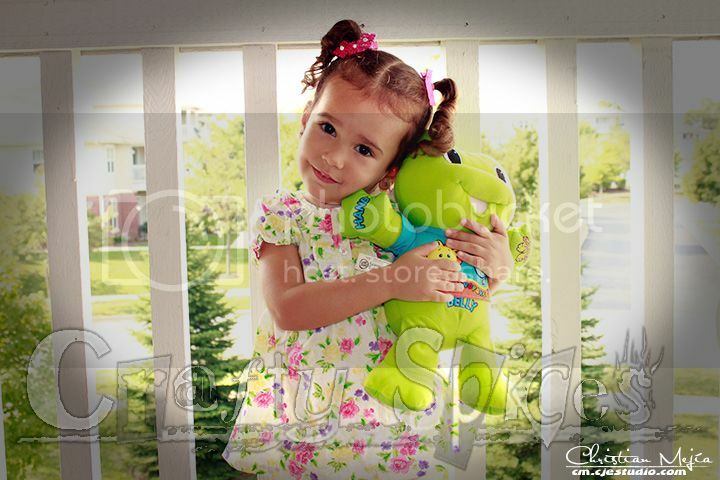 I've seen little babies calm down with the sound of this friendly frog, and my darling daughter whom is 2 going on 3 years of age, loves, as she calls it her "Baby Froggy". What better way of learning, than playing and having fun! Is a small frog wearing a blue shirt that has a moon on it's right side and 'Night Time' written above it; a 3D Sun on the left side with the numbers 1-5 around it, and at the bottom all across is the alphabet. The battery pack and the power Switch are located in the back side, as you turn it on, it's start's singing the ABC's, and then it has all these features: His Right hand is labeled "Hand" and when you push it, he tells you what it is and how many you have; his Left hand is labeled "Clap" with a drawing of two hands, when you push it, he sings a couple of songs for kids to act out clapping; his belly is labeled "Belly" and when you push it, it tells you that it's his Belly Button. The Right foot has written "Dance" and 2 small yellow feet drawings, when it's push on it, he sign songs to be danced out; the Left foot says "Foot"and when pushed, it tells you what it is and how many you have. I've had the opportunity to see not only my daughter interacting with Baby Tad, but also younger babies, and the one thing they have had in common is: after presented with the "Leapfrog Learning Baby Tad" and seeing what he does, they show much joy when they see him again. The smaller babies smile and try to grab Baby Tad, calm down with the music/songs it play's and little by little we could see how they actually start learning songs and body parts with the Baby Tad. 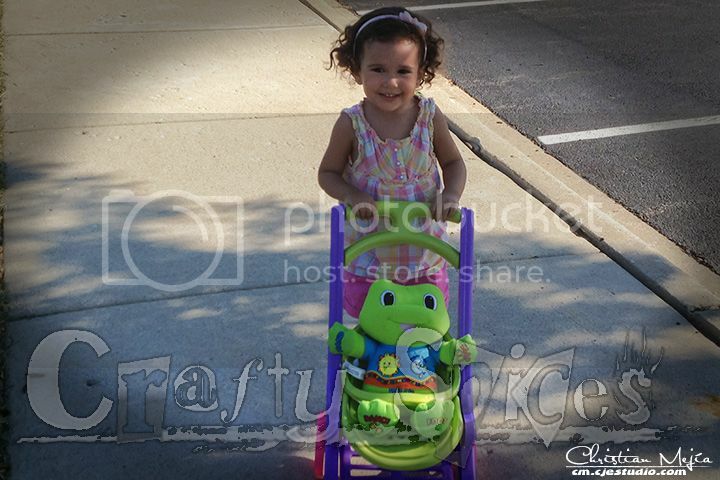 The older kids, my daughter for example almost 3, loves to snuggle baby Tad her "Baby Froggy" she takes him for walks in his stroller, plays his music and dances to it, at this point she does know her body parts but sometimes we find her making Baby Tad say the names and she has so much fun with him. 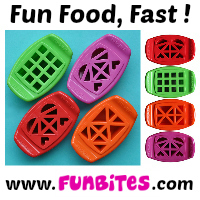 Pros: Great educational toy, good size, much fun and easy to manage. Cons: Volume even in the low setting is high specially for the night time lullabies, and if not clean often it can be hard to make clean again. Our final thoughts: It's a great product, I would recommend to any parent looking for a nice educational and manageable toy for babies and toddlers alike. 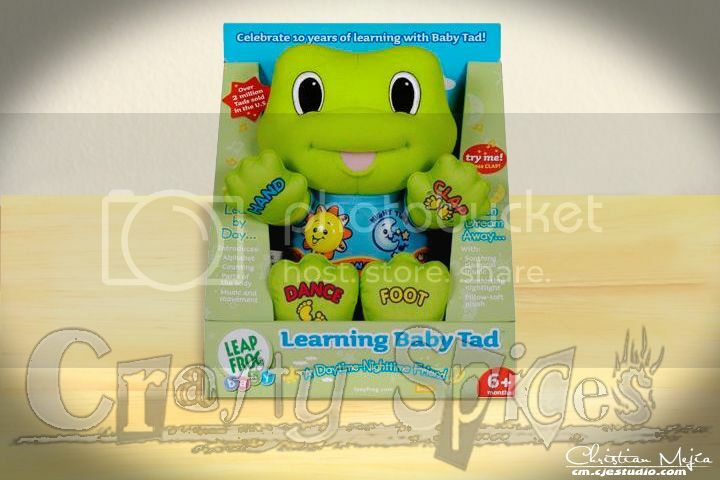 The Learning Baby Tad was manufactured by LeapFrog, a leading international company in the manufacture of educational products for children of all ages. A few years ago Baby Tad was discontinued, you can still find and purchase them in many stores including online retailers like Amazon.